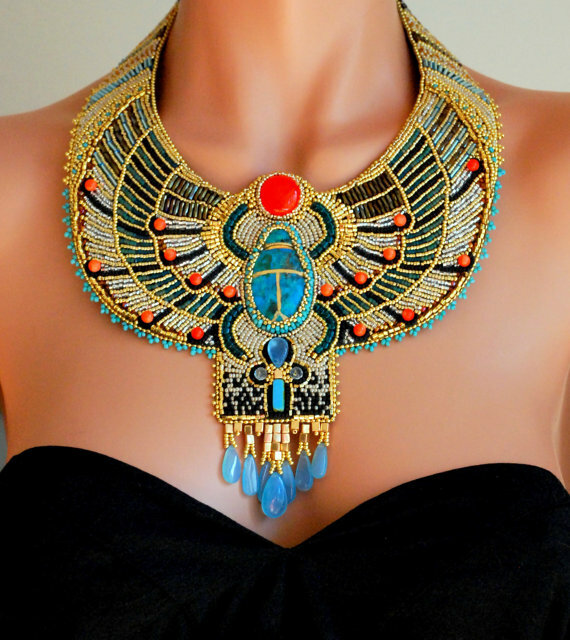 There is nothing more glamorous than an Egyptian inspired statement necklace. 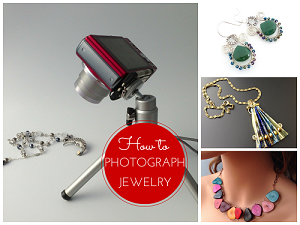 When you are as talented as Doro Soucy, the results are definitely a big WOW! Her Egyptian vulture necklace below is simply amazing. It was inspired by, get this - Tutankhamun's vulture necklace AND Fabergé eggs! Doro was born and raised in the historic city of Bratislava in Slovakia but now calls Dallas, Texas home. 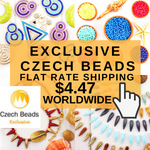 Her Etsy store, Lux Vivens Fashion, is filled with outstanding bead embroidered jewelry. 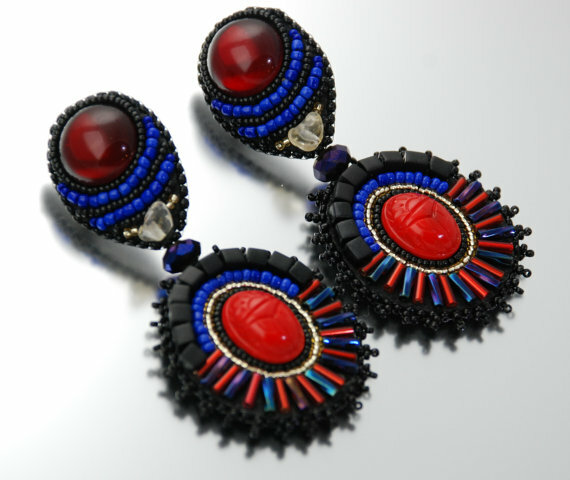 Her designs clearly show her love and appreciation of history and different cultures. Her powers of observation and attention to detail are acute. 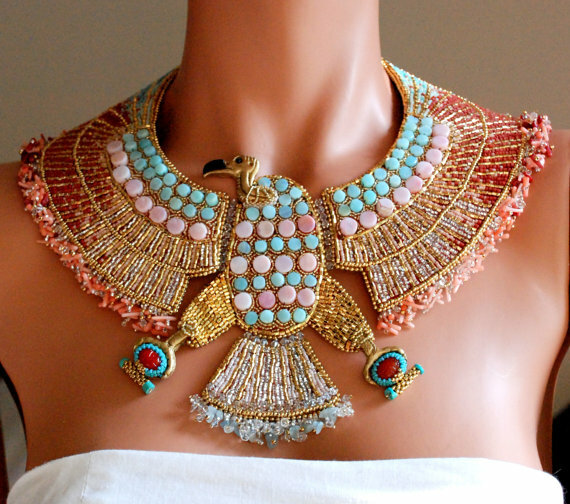 The Egyptian Goddess necklace above was inspired by the designs in Tutankamun's ceremonial chair. 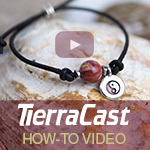 The scarab focal is a beautiful dark blue chrysocolla stone surrounded by other gemstones. The distinctive grey of labradorite gemstones form the wings. 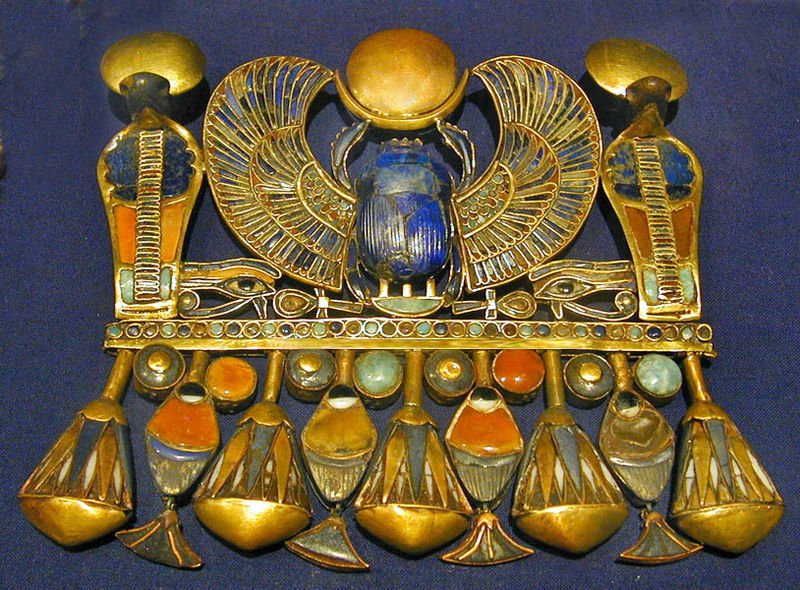 Her other amazing scarab necklace (below) was inspired by Tutakhamun's pectoral piece. 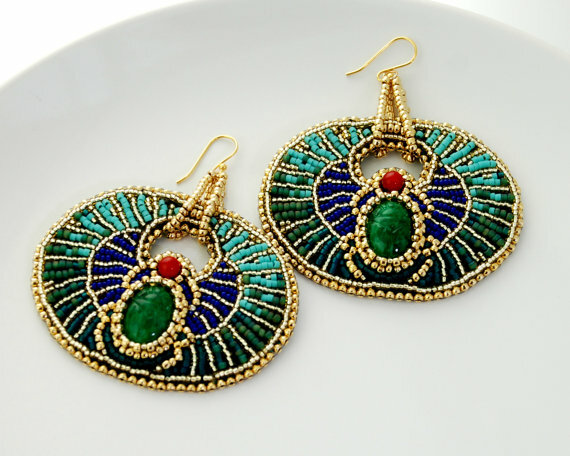 Her Egyptian earrings are no less stunning! Her design abilities were cultivated when she was young. 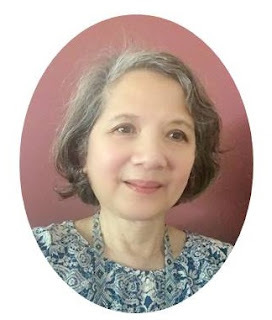 Doro said, " As a girl I spent a lot of time at my mother’s work in the Bratislava Castle wandering around the exhibits after hours, fantasizing and developing my artistic imagination." 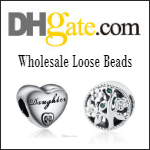 Now wife and mother of 2 children, she pours that artistic imagination into her gorgeous bead embroidered designs. Definitely... W O W !!!!!!!! Doro is incredibly talented!!! How she does that... the detail is incredible! 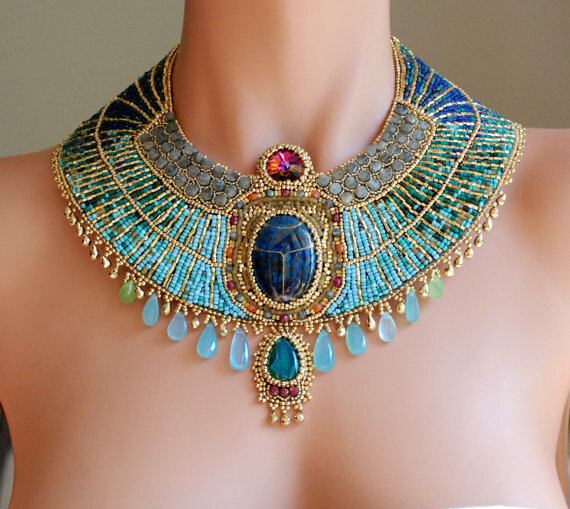 I have always been fascinated by ancient Egypt (I even took Egyptology for one year at University), and her recreation of ancient Egyptian jewelry is quite simply awesome! I'm off to check her Etsy shop! 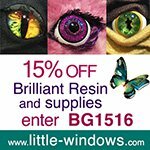 I am always filled with awe when I see artists' work that reflect observation, study and imagination! Very inspirational. Thanks for posting, Pearl! Wow! What can I say? Just wonderful! Beautiful ! 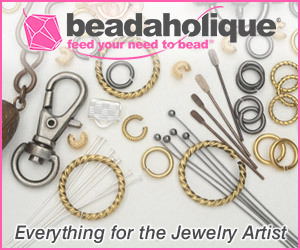 These are definitely museum quality pieces and undeniably "Statement" jewelry. I can just picture this designs in a museum. Just gorgeous! wow! this is just amazing!!! i love it!! !